Description: a view of Titanic from the front. 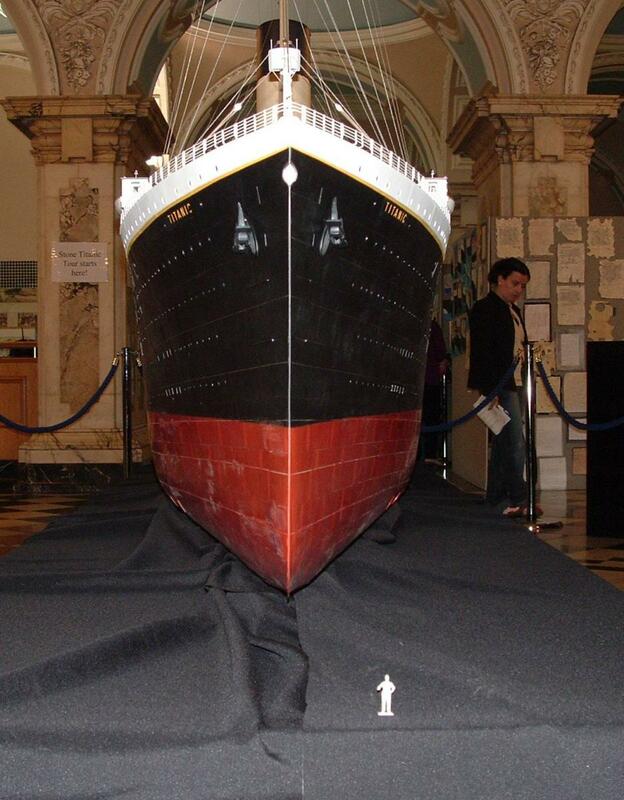 To get an idea of the scale, the small model figure in front of the ship is to the same scale. Titanic was indeed huge!! !